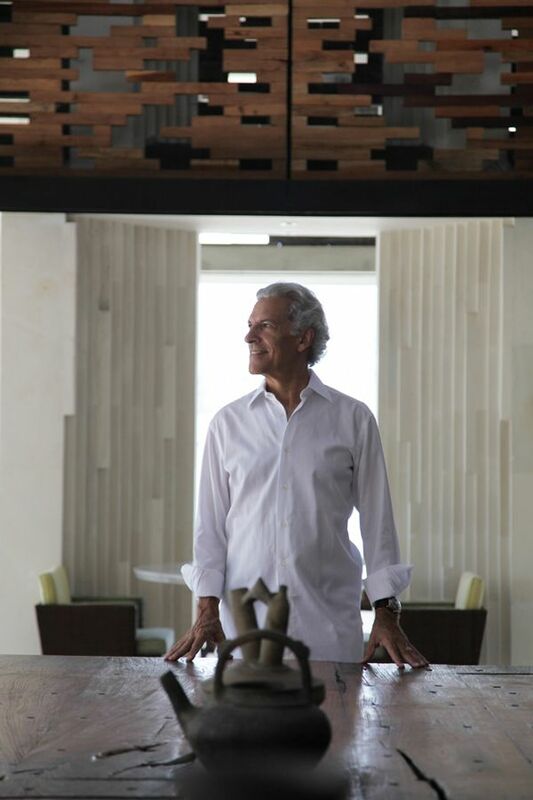 The president and founder of Alila shares his most memorable experiences on the road. Photo: Kerstin zu Pan Photography/Berlin. Mark Edleson has definitely earned his badge as a veteran in the hospitality industry, with over 36 years of experience as the founder of GHM Indonesia, Mandara Spa Asia and Alila Hotels & Resorts—one of our favourite boutique hotel brands for its refreshing eco-luxe approach and gorgeous artisanal designs. Currently president of Alila, Edleson started out in banking and was formerly a vice president of Citibank before he traded bonds for beaches. Today, he's busy managing Alila's portfolio of properties all around the world, with Alila Fort Bishangarh in Jaipur and Alila Yangshuo in Guilin both slated to open later this year. For the latest installation of our 'How I Travel' column, we ask Mark about his favourite travel companion and most memorable experiences on the road. Next trip? Portugal. I'm going with my wife to meet my son and his wife who are both studying in Germany. We are going to take a short holiday together. What do you love most about traveling? I still enjoy meeting new people and learning how they go about their lives. Food is always a wonderful gateway to an economy and local culture. Most memorable travel experience? I attended the wedding of a good friend in Venice, where the event went on for several days and each activity was beautifully curated in incomparable surroundings. Worst? A trip down the Amazon River in Brazil from Colombia, where both my wife and I returned home with scabies that were terribly uncomfortable for days and took some time to cure! Things you always travel with? My regular travel companions are quite basic: my passport, my mobile phone and a thin jacket to combat uncomfortably cold airplane cabins and airports. One place you'd visit over and over again? While there are many places I enjoy revisiting, I guess I have to say Bali where I have had a second home for the past 34 years! While it is currently changing at an accelerated pace, I still frequent festivals in my village, which never cease to enchant me with their beauty and grace. What do you normally read on the plane? I normally read newspapers and magazines to catch up on current events. Favourite travel companion? My wife, who has been my companion and compass for the past 41 years. Window or aisle? Aisle seat for that sense of a little more space and easier access to the toilet and a stretch. Favourite travel app? CheckMyTrip, which keeps my flight itineraries and notifies me of gate changes or delays in flights. Any tips on overcoming jet lag? For long distance inter-continental travel, I usually seek help from sleeping pills for a couple of nights after arrival to help me sleep until my body naturally adjusts.